This December I took a break from my volunteer gig as a gift wrapper to chat with with Gabi on the phone about “green menstruation”. Gabi is a zero waste enthusiast who shares her experiences on instagram (follow her @reducewhatyouproduce). She had recently shared some of her experiences with her menstrual cup, which very much peaked my interest. Gabi explains; “it’s important that we make informed decisions about our consumption practices and that these decisions ultimate reduce waste.” Gabi says that using something like a cup instead of tampons or pads can drastically reduce what ends up in the landfill. So, Gabi and I did did a little bit of period waste math. The average bleeder gets their first period around 12 years old and will likely have periods until about 45. That’s 33 years — or 396 periods. 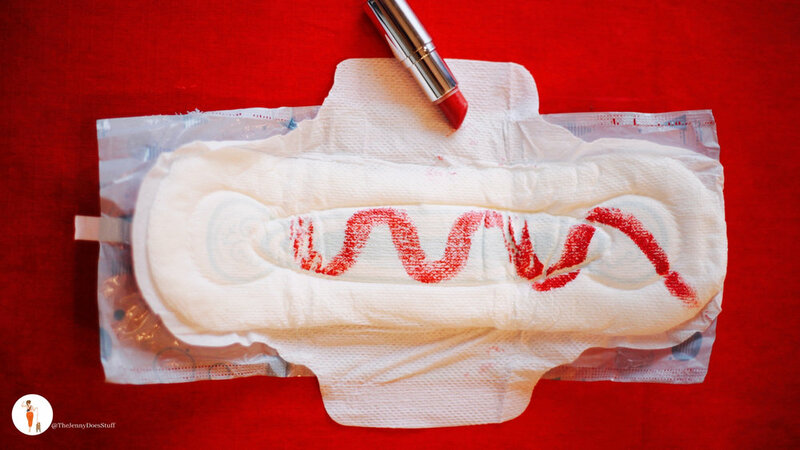 We estimated the average north American uses about 25 pads/tampons per period. With those 396 periods in a lifetime, one person can be responsible for almost 10 thousand disposables. Gabi and I both switched to absorbent reusable period underwear last year. We both have Thinx but there are several companies out there that create underwear with thin, absorbent “pads” built in. Knix is a Canadian brand we’ve also liked, and both websites report that some of their underwear can hold up to two tampons worth of blood. From our experience, we estimate that with proper wear and care they will last at least 3 years. The THINX website makes a similar claim. A switch to reusable period undies can vastly eliminate our use of disposable products not to mention the fact that they are comfy, convenient and cute. Gabi and I both agreed that this is the most environmentally-friendly option of all. I’d heard about the Diva Cup before. I remember meeting the creator at school and seeing them making their pitch to fellow bleeders on campus. I learned that in addition to the Diva Cup, there’re brands like Moon Cup, the Lunette, and the Keeper. Plenty of options to choose from. We think that a properly cared-for menstrual cup can last for almost a decade, preventing a decade's worth of menstrual products from getting to the landfill. At first the cup, as Gabi explained, “forces you to be a bit intimate with yourself” and can be difficult to figure out. With time and patience, you too can be a cup master. We did commiserate about the importance of having access to a shower or at the very least, a sink when using it. But we both thought the benefits far outweigh the negatives on this one. It’s important to acknowledge that not all products work for everyone. We all need to create the tool kit that works best for us. My view is that these new options are an easy way for people to take a step toward helping the planet and reducing their individual waste production. From menstrual cups to absorbent underwear, there’s whole new world of eco friendly menstruation out there to explore. Thanks to Gabi for the phone chat. Congrats on the new job.